Bargain Category: Upper Elementary, Science, Reference, Non-Fiction, Middle School, History, Geography, $1 Books! Each book focuses on the cities bordering the titular river using short chapters, timelines, and maps to cover the history and geography of the Indus and Ganges rivers. Current concerns about pollution and trade relations on the rivers are addressed in some depth. Clear photographs, maps, and charts extend the text. Reading list. Glos., ind. 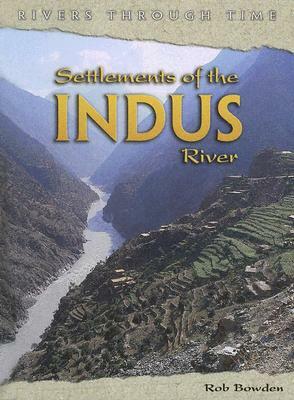 [Review covers these Rivers Through Time titles: [cf2]Settlements of the Indus River[cf1] and [cf2]Settlements of the Ganges River[cf1].] Copyright 2005 Horn Book Guide Reviews.